Predominantly of Arab-Norman Romanesque architectural style, it has been remodeled several times, adding Romanesque, Byzantine, Gothic, and Baroque elements. 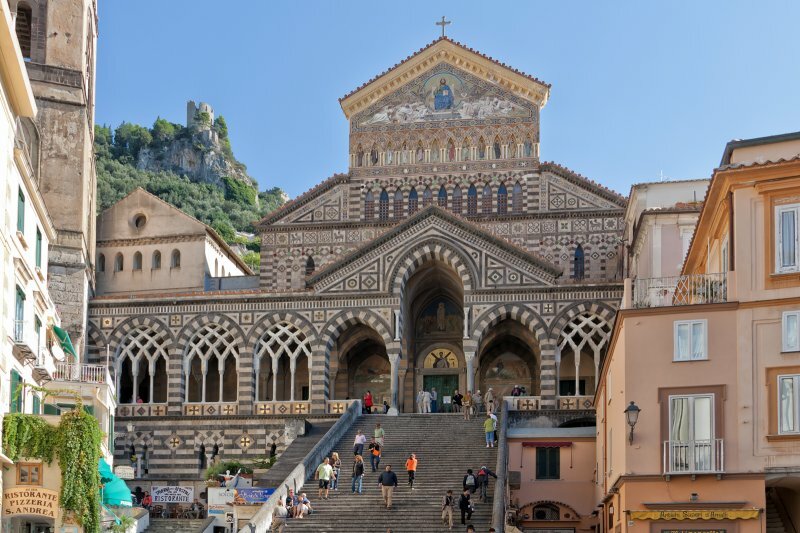 The remains of St. Andrew were reportedly brought to Amalfi from Constantinople in 1206 during the Fourth Crusade by Cardinal Peter of Capua. In 1208, the crypt was completed and the relics were turned over to the church.